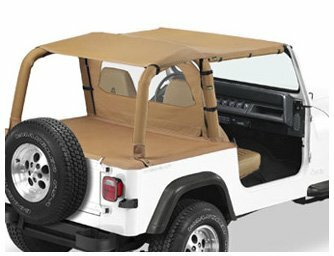 Bestop safari bikini top (52529-37 – spice) is similar to a traditional bikini top except it has extended coverage to protect the rear occupants in addition to the driver and front passenger. Installation is easy – no drilling required. Eliminates rear tie-down straps. Reinforced nylon webbed edges prevent flapping – prolongs life of top. Complete the look with RoughRider Windjammer, Baja Half Doors and Duster. 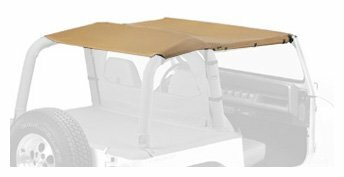 Requires installation of a windshield channel if the vehicle is currently not equipped with one already.